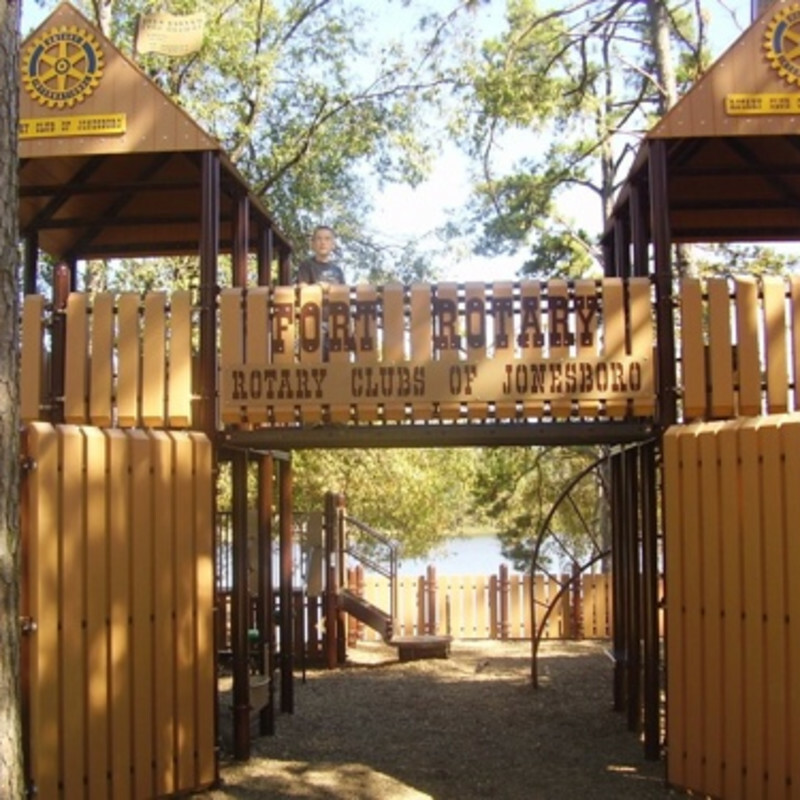 Designed to enable children of every ability to explore together, the Rotary Centennial Park located in Craighead Forest Park is 70 percent universally accessible and yet still challenging for all of its guests. Adorned in bright primary colors, the park features a wheelchair track, a fort, swings, a bank-shot basketball court, an elevated sand play area, and picnic areas. A new and exciting addition is the water splash pad. The park’s location on the water offers a serene view for parents as well.